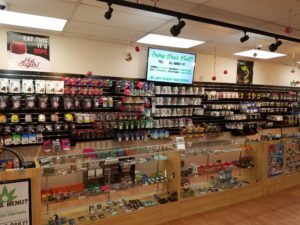 Kush 21 offers 1% off entire purchase per canned good item donated up to a max of 15% per customer per day! The Holiday Season is upon us, and Kush 21 in Burien is certainly feeling moved by the holiday spirit! The shop was the first in town and has worked tirelessly to not only create a name for themselves, but also to substantiate themselves as being one of the best things to happen to the town. 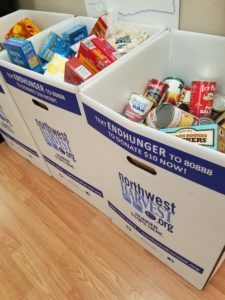 They are proving that again with a canned food drive they are putting on in their shop in partnership with Northwest Harvest located in historic Kent. Their canned food drive extends through the end of the year, and to offer extra incentive to donate, customers can receive 1% off their entire purchase for each food item they donate, with a maximum of up to 15% off per person, per day. This means that if you bring in 15 cans of food, you can get up to 15% off your entire purchase every day until 2017! 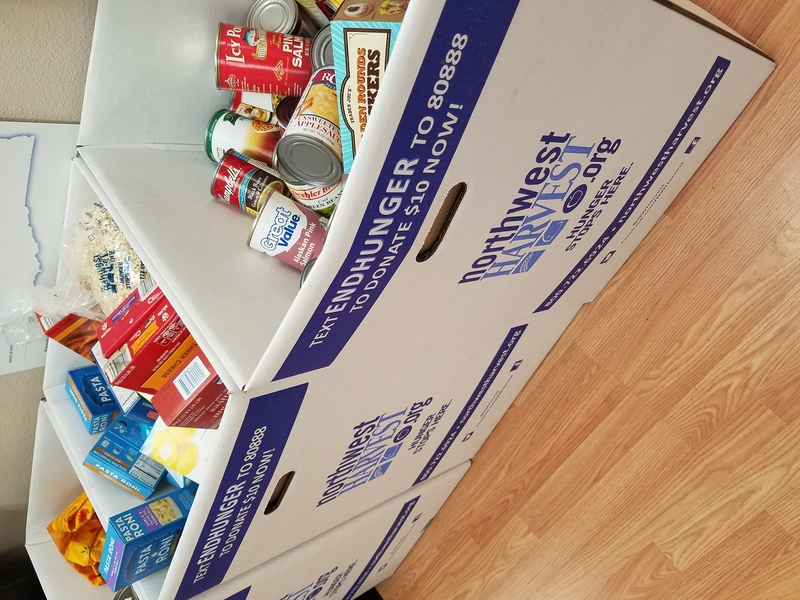 Not only is that a chance to stock up on the cheap, but also to give back to the surrounding community and make sure that fewer people go hungry around the holidays. If the weed alone didn’t make you feel good enough, now you get some spiritual cleansing as well! As if that wasn’t enough, Kush 21 is also working on organizing a Coat and Warm Clothes Drive that we should have more details soon on. The temperatures are dropping outside, and the shop doesn’t want to see anyone go unnecessarily cold, and we applaud their humanitarian efforts. It’s always nice to see others giving back because the feeling is infectious, and taking part in the cause just makes you feel better about the state of the world, even in the most trying times. Kush 21 in Burien certainly is in the holiday spirit! 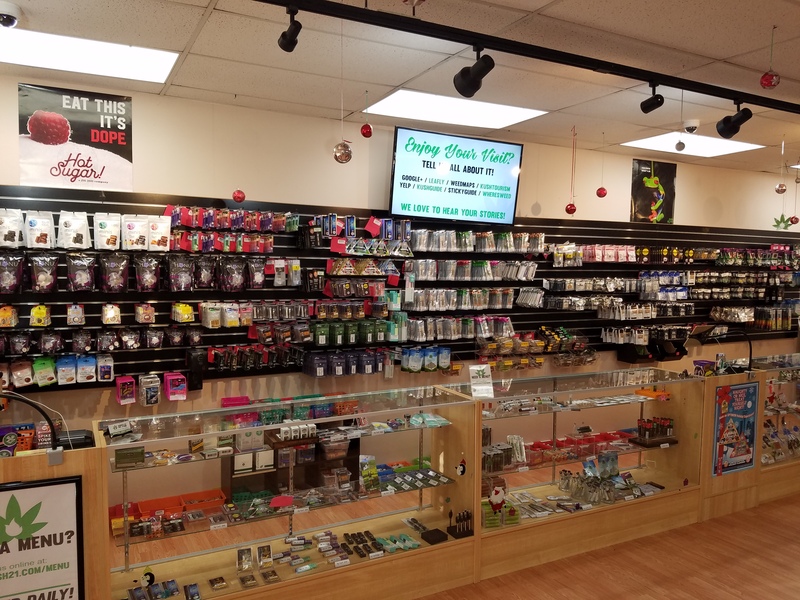 Also, Kush 21 will be offering Christmas Specials where they will offer 5 different products ranging from 10-25% off each day through the holiday. And if you forgot to stock up, don’t worry, because they want to make sure that no one has to spend the holidays without herb! The shop will be open both Christmas Eve and Christmas Day to provide Christmas cheer and Christmas Cheeba. Be sure to get down to Kush 21 before the end of the year and bring some canned goods along with you if you want to receive their great discounts! The shop is located at 17730 Ambaum Blvd. S in Burien, and is open from 9a-11p daily. You certainly won’t regret it!